Every business has to start somewhere. If you own the business you are doing all the work at first, not making much money if any at all, and it becomes difficult for your business to grow. This means you need to hire people to do some of the work in order for you to work on other aspects of the business so it can grow. 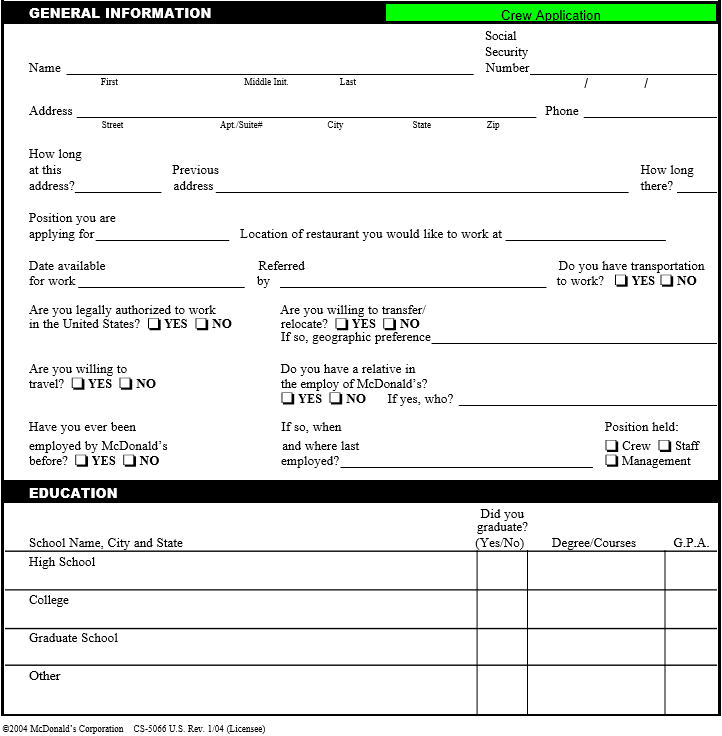 In order to hire people though you will need to have them fill out an application for your business. Most small companies and business don’t start with applications, they need to be created. We have a free job application template you can use, that contains all the relevant information you are going to need in order to hire some help. This job application template comes fully equipped so you can use it exactly as it is, saving you time if you need something in a hurry. 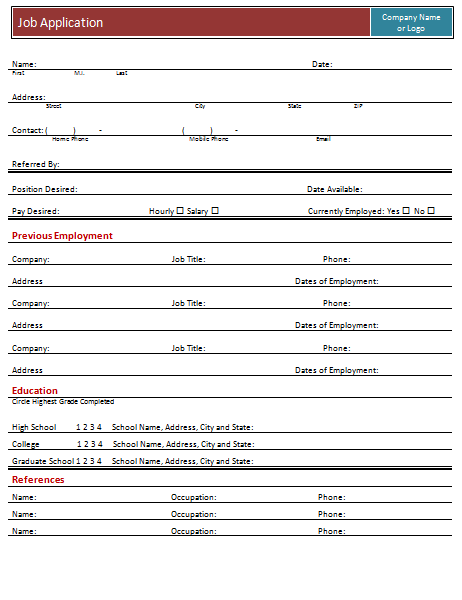 However this job application template can also be edited so you can use it specifically for the benefit of your business. You can add fields into this job application template that are specific to your business, just be aware of any laws your state might have pertaining to what you can and cannot ask of an applicant. 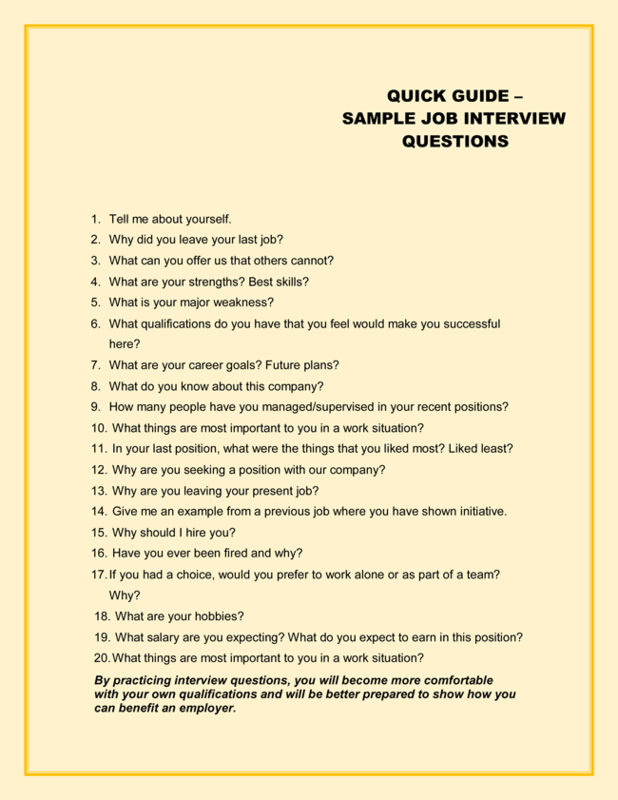 This job application template can be used so you can determine if a potential applicant will have what it takes to work in your business. It will tell you if they have experience, and what availability they have to work. You can even make the job application template work for you so the applicant can list references both personal and professional. And the best part of this job application template is that you can modify it every time you use it, until you have the right application needed for your business, giving you the perfect employees.